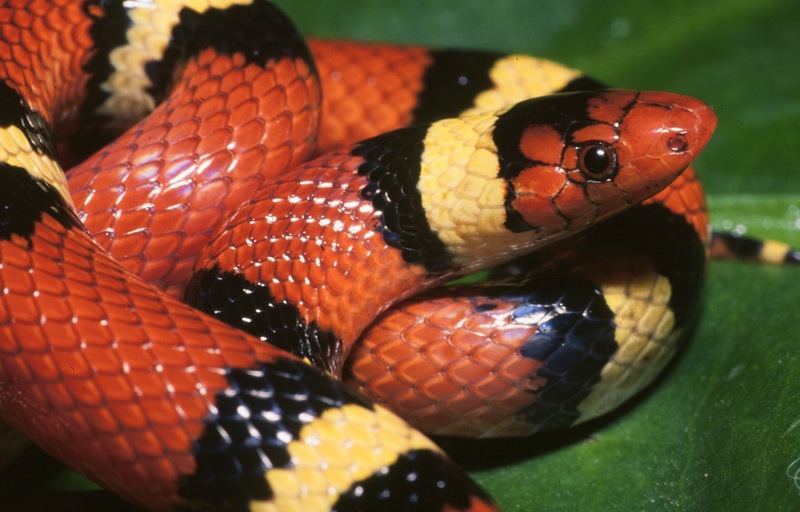 Description: Although quite different in appearance, the scarlet kingsnake and milksnake are actually different subspecies (races) of the same snake. 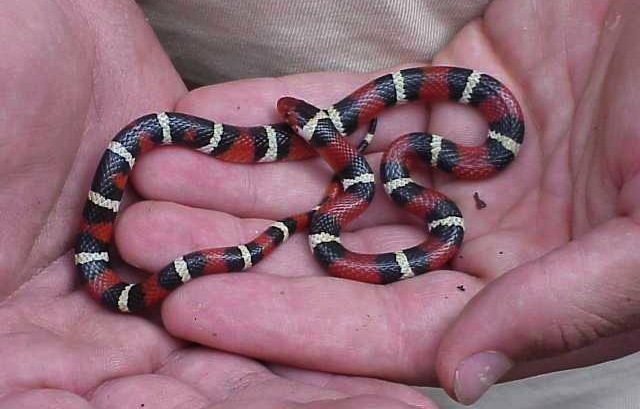 The scarlet kingsnake is arguably the most beautiful snake in North Carolina. Scarlet kingsnakes are usually thought to be mimics of the venomous coral snakes and have bright red, black, and yellow bands that extend across the belly. 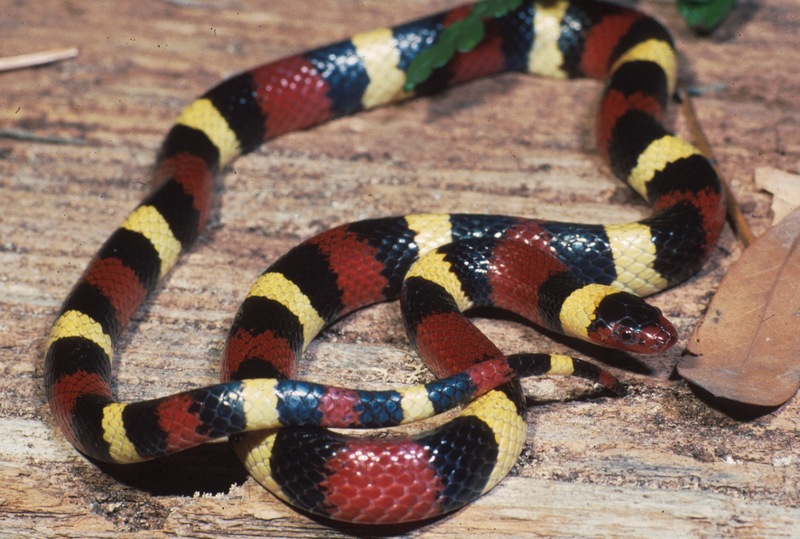 This snake has a red nose and its red and yellow bands are separated by black ones, thus distinguishing them from coral snakes. The dorsal scales of scarlet kingsnakes and milksnakes are smooth. Habitat/Range: Scarlet kingsnakes are found within rotting logs and under bark in the pine forests of the Coastal Plain. 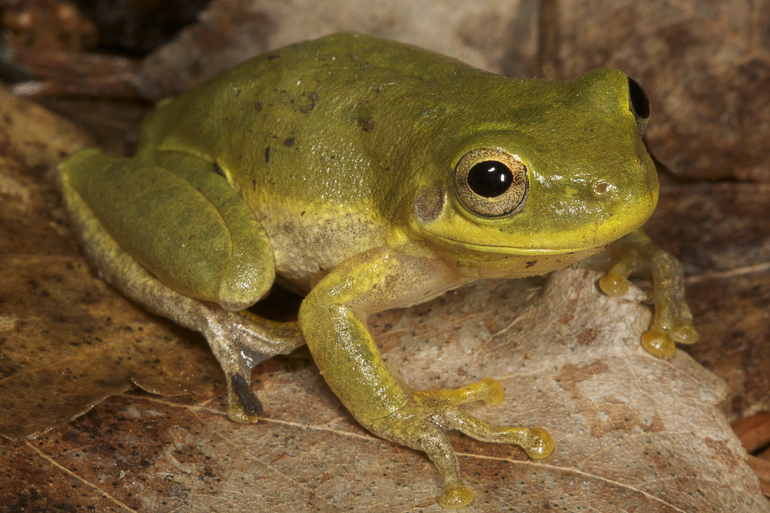 They are rare in the Piedmont. 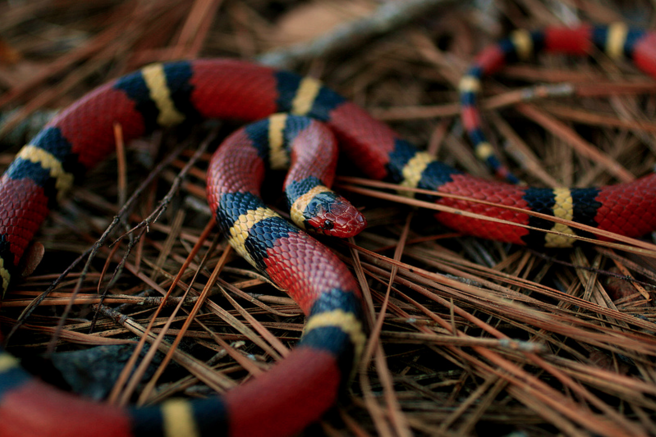 Reproduction: Scarlet kingsnakes and milksnakes both breed in the spring and lay 2–17 eggs during the summer. Miscellaneous: Because of their resemblance to the venomous coral snakes, scarlet kingsnakes should be picked up only by those expert in snake identification. The shaded region represents the range of the scarlet kingsnake in North Carolina.